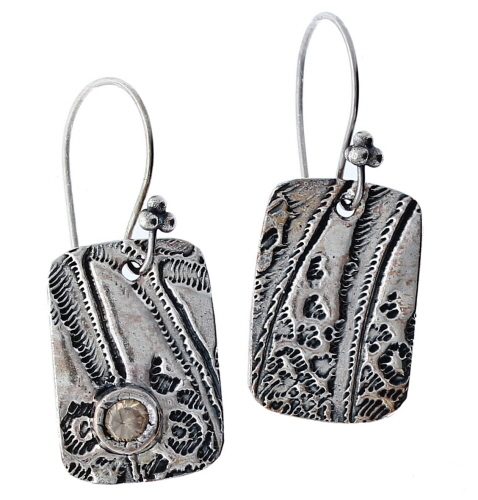 Art clay silver has been texturized by rolling out on a rubber stamp. Small 'cookie cutter' type cutters are used to create the perfectly shaped rectangle. 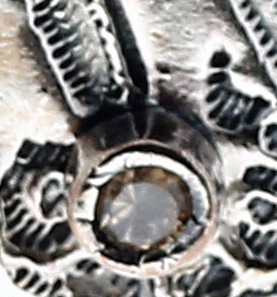 Antiqued after firing to show off detail. Hand formed sterling silver earwire. 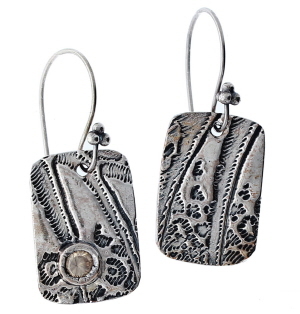 Earrings measure 1¼ inches from top of earwire to bottom of dangle, ½ inch wide. Weight less than 0.05 oz each.